Here it is. The 1 stompbox for legions of crunch-craving guitarists all over the planet. 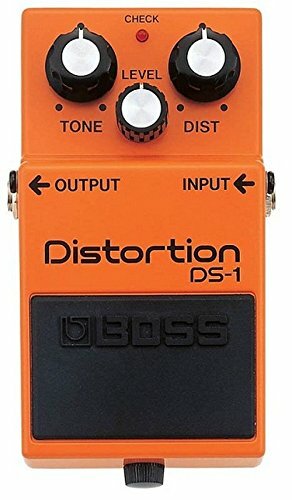 This DS-1 distortion pedal is a time-proven mainstay of rock and metal tone, no doubt about it. Three knobs make way for practically every rock sound you've ever heard. If you dig it loud and distorted, you've simply got to have a DS-1 in your rig. And that's that.